Know the Law on Foreign Protective Orders. Corrupt Ellis County Texas District Attorney Patrick Wilson knowingly and purposely wrongfully imprisoned Bill Windsor claiming a TEMPORARY order of protection from Montana was valid in Texas. This article will be especially important to you should you have a dishonest spouse or ex-spouse or anyone else who lies and gets a temporary order of protection against you. Bill Windsor was illegally detained, illegally incarcerated, illegally denied bond, and illegally denied discharge when he was "detained" on a so-called "Bench Warrant" from Montana on "violation of a protective order." Bill's focus was on the violation of the extradition laws in Texas. Just about every law on the books was violated. But subsequently, Bill Windsor discovered that TEMPORARY orders of protection issued ex parte, without notice to him or the opportunity to be heard, are not valid in Texas, where he was when the alleged crimes took place. Both Montana and Texas enacted the Interstate Enforcement of Domestic Violence Protection Orders Act. He didn't pay any real attention to this for months for two reasons. First, there was no protection order in his case because there was only a temporary order of protection wrongfully issued for 20 days on August 21, 2013. It had long since expired. Second, while William M. Windsor was told that he was being detained in Ellis County Texas on "violation of a protective order," he asked for, but never received, a copy of any such alleged order. Once the Missoula County Attorney's Office revealed that it was this TEMPORARY order of protection ("TOP") that was allegedly violated, Bill discovered that not only is the TOP invalid in Texas, it's invalid in virtually every state. If you ever have a bogus temporary order of protection issued against you, know what the law is if you are in another state! On August 21, 2013, Bill Windsor was served with a Temporary Order of Protection. He was never been served with another order of protection. This Temporary Order of Protection was issued ex parte. Bill Windsor was not given notice of it or an opportunity to be heard in regard to it. The man who obtained the Temporary Order of Protection, Sean Boushie, made up the entire story that he told the judge. The Temporary Order of Protection was never converted to a permanent order. There was never a hearing on this. In October 2014, there was a Bench Warrant issued for Bill Windsor in Missoula Montana for allegedly violating this Temporary Order of Protection. The Bench Warrant is invalid as it clearly shows that it applies only to Montana. 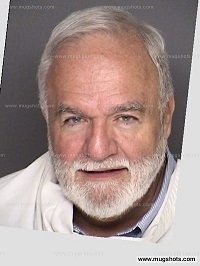 Bill Windsor was in Dallas, Texas from August 31, 2013 until December 29, 2014 when these alleged crimes took place. Texas is one of 17 states that has enacted the UniformInterstate Enforcement of Domestic Violence Protection Orders Act. The law in Montana, Texas, South Carolina, Alabama, Mississippi, District of Columbia, West Virginia, Indiana, New Mexico, Oklahoma, Kansas, Nebraska, South Dakota, North Dakota, Idaho, Utah, and California is that if a Temporary Order of Protection from another state is issued ex parte, it is not valid. William M. Windsor was not given notice or an opportunity to appear on the Temporary Order of Protection in Montana, and it has been over 500 days since the Temporary Order of Protection was issued! The Uniform Interstate Enforcement of Domestic-Violence Protection Orders Act has two purposes: (1) to define the meaning of full faith and credit as it relates to the interstate enforcement of domestic violence protection orders, and (2) to establish uniform procedures for effective interstate enforcement. Texas enacted the Uniform Interstate Enforcement of Domestic-Violence Protection Orders Act in 2001. Texas: FAMILY CODE -- TITLE 4. PROTECTIVE ORDERS AND FAMILY VIOLENCE -- SUBTITLE B. PROTECTIVE ORDERS -- CHAPTER 88. UNIFORM INTERSTATE ENFORCEMENT OF PROTECTIVE ORDERS ACT. Montana: Montana Code Annotated > TITLE 40. FAMILY LAW, CHAPTER 15. PARTNER AND FAMILY MEMBER ASSAULT, SEXUAL ASSAULT, AND STALKING -- SAFETY AND PROTECTION OF VICTIMS, Part 4. Uniform Interstate Enforcement of Domestic Violence Protection Orders. Idaho: Title 39 Chapter 63 of the Idaho Code - 39-6306A. Uniform interstate enforcement of domestic violence protection orders act. Utah: Title 78B – Judicial Code, Chapter 7 Protective Orders, Part 3 Interstate Enforcement of Domestic Violence Protection Orders Act. Oklahoma: § 60.23. Judicial enforcement of foreign protection order. New Mexico: Chapter 40, Article 13A - Uniform Interstate Enforcement of Domestic Violence Protection Orders. Kansas: Article 31B. Uniform Interstate Enforcement of Domestic Violence Protection Orders Act. North Dakota: Chapter14-07.4 Uniform Interstate Enforcement of Protection Orders Act. Alabama: Article 7A. Domestic Violence Protection Order Enforcement Act. Mississippi: Chapter 22. Uniform Interstate Enforcement of Domestic Violence Protection Orders. South Carolina: Title 20 – Domestic Relations, Chapter 4 – Protection from Domestic Abuse, Article 3. Uniform Interstate Enforcement of Domestic Violence Protection Orders Act. California: PART 5. Uniform Interstate Enforcement of Domestic Violence Protection Orders Act, Secs., 6400-6409. West Virginia: Article 28 Uniform Interstate Enforcement of Domestic Violence Protection Orders Act. Indiana: IC 34-26-5-17 Foreign protection orders. District of Columbia: Subchapter IV. Interstate Enforcement Of Domestic Violence Protection Orders; Uniform Law. The Temporary Order of Protection with William M. Windsor expired, so it was not currently in effect. The Missoula County Montana court did not have jurisdiction. But what is the essential factor now is that the Temporary Order of Protection was rendered ex parte without notice to William M. Windsor and without an opportunity to be heard. Therefore, the ex parte Temporary Order of Protection, by statute, has no validity in Texas, South Carolina, Alabama, Mississippi, District of Columbia, West Virginia, Indiana, New Mexico, Oklahoma, Kansas, Nebraska, South Dakota, North Dakota, Idaho, Utah, and California, the states in addition to Montana that have enacted the Uniform Interstate Enforcement of Domestic-Violence Protection Orders Act. Oregon: 24.190. Foreign restraining orders: (2)(a) Except as otherwise provided in paragraph (b) of this subsection, immediately upon the arrival in this state of a person protected by a foreign restraining order, the foreign restraining order is enforceable as an Oregon order without the necessity of filing and continues to be enforceable as an Oregon order without any further action by the protected person. (b) A foreign restraining order is not enforceable as an Oregon order if: (A) The person restrained by the order shows that: (i) The court that issued the order lacked jurisdiction over the subject matter or lacked personal jurisdiction over the person restrained by the order; or (ii) The person restrained by the order was not given reasonable notice and an opportunity to be heard under the law of the jurisdiction in which the order was issued…. Washington: 26.52.020. Foreign protection orders—Validity. A foreign protection order is valid if the issuing court had jurisdiction over the parties and matter under the law of the state, territory, possession, tribe, or United States military tribunal. There is a presumption in favor of validity where an order appears authentic on its face. A person under restraint must be given reasonable notice and the opportunity to be heard before the order of the foreign state, territory, possession, tribe, or United States military tribunal was issued, provided, in the case of ex parte orders, notice and opportunity to be heard was given as soon as possible after the order was issued, consistent with due process. Colorado: 13-14-110. Foreign protection orders. (2) Full faith and credit. Courts of this state shall accord full faith and credit to a foreign protection order as if the order were an order of this state, notwithstanding section 14-11-101, C.R.S., and article 53 of this title, if the order meets all of the following conditions: (a) The foreign protection order was obtained after providing the person against whom the protection order was sought reasonable notice and an opportunity to be heard sufficient to protect his or her due process rights. If the foreign protection order is an ex parte injunction or order, the person against whom it was obtained must have been given notice and an opportunity to be heard within a reasonable time after the order was issued sufficient to protect his or her due process rights. (b) The court that issued the order had jurisdiction over the parties and over the subject matter; and (c) The order complies with section 13-14-106(3). Tennessee: 36-3-622. Foreign protection orders; full faith and credit; presumption of validity; enforceability. (b) (2) For a foreign protection order to be valid in this state, the respondent must have been given reasonable notice and the opportunity to be heard before the order of the foreign state, tribe or territory was issued; provided, that in the case of ex parte orders, notice and opportunity to be heard must have been given as soon as possible after the order was issued, consistent with due process. (3) Failure to provide reasonable notice and the opportunity to be heard shall be an affirmative defense to any charge or process filed seeking enforcement of a foreign protection order. Louisiana: § 4248. Foreign protective orders. A. A copy of any foreign protective order authenticated in accordance with an act of congress or the statutes of this state may be annexed to and filed with an ex parte petition praying that the protective order be made executory in this state. The address of the petitioner may remain confidential with the court. B. At an ex parte hearing, the court shall make the protective order executory in this state, cause to have prepared a Uniform Abuse Prevention Order, as provided in R.S. 46:2136.2(C), shall sign such order, and shall forward it to the clerk of court for filing, all without delay. C. The clerk of the issuing court shall transmit the order to the Louisiana Protective Order Registry, R.S. 46:2136.2(A), by facsimile transmission, mail, or direct electronic input, where available. The order shall be mailed and transmitted as expeditiously as possible, but no later than the end of the next business day after the order is filed with the clerk of court. Arizona: Bill Windsor cannot locate any law that says foreign orders of protection are valid in Arizona. Arkansas: 5-53-134. Violation of a protection order. (2) A person commits the offense of violation of an out-of-state order of protection if: (A) The court of another state, a federally recognized Indian tribe, or a territory with jurisdiction over the parties and matters has issued a temporary order of protection or an order of protection against the person pursuant to the laws or rules of the other state, federally recognized Indian tribe, or territory; (B) The person has received actual notice or other lawful notice of a temporary order of protection or an order of protection pursuant to the laws or rules of the other state, the federally recognized Indian tribe, or the territory; (C) The person knowingly violates a condition of an order of protection issued pursuant to the laws or rules of the other state, the federally recognized Indian tribe, or the territory; and (D) The requirements of § 9-15-302 concerning the full faith and credit for an out-of-state order of protection have been met. Ellis County Texas District Attorney Patrick Wilson knowingly and purposely concealed that key evidence of this TEMPORARY order of protection, and he did so in order to wrongfully imprison Bill Windsor for 53 days. He did it because Bill Windsor was exposing him and his Ellis County Mafia associates and had a lawsuit pending against a number of these people that should have resulted in a $100 million+ jury verdict. If he put Bill Windsor in jail, Bill would lose his case because he would be unable to appear for hearings and do the necessary work. District Attorney Patrick Wilson concealed the evidence because Bill Windsor would have then been able to show the Ellis County Texas courts that the claimed order of protection was actually an expired TEMPORARY order of protection. Bill only had it disclosed to him this week that the alleged order was a temporary order as the corrupt Missoula County Attorney's Office concealed this from the judge and Bill Windsor. The Missoula County Attorney's Office knew this, and Ellis County Texas District Attorney Patrick Wilson knew this TEMPORARY order was invalid in Texas and virtually every other state in America. If you committed an act that justifies a temporary order of protection, then honor it. But if you were a victim of blatant corruption, know that your temporary order of protection is probably not valid in another state. Check the states addressed above, and if the important state to you has not yet been studied, Google "enforcement of foreign protection order" with your state's name.